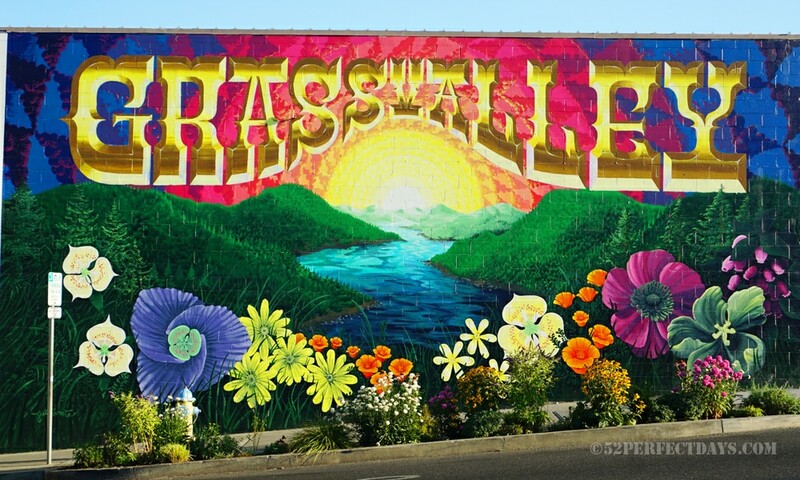 Nestled in the heart of the Sierra Nevada Foothills in Northern California lies the town of Grass Valley. 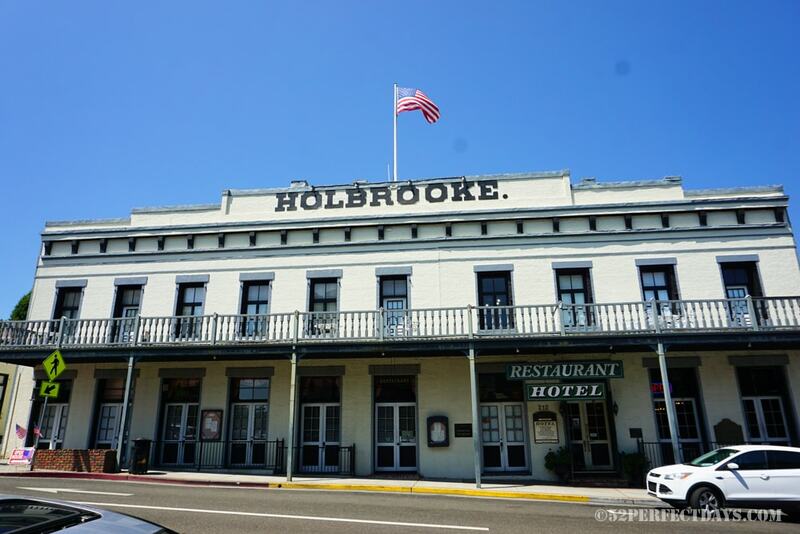 This is a true California Gold Rush-era town with a lot of history. 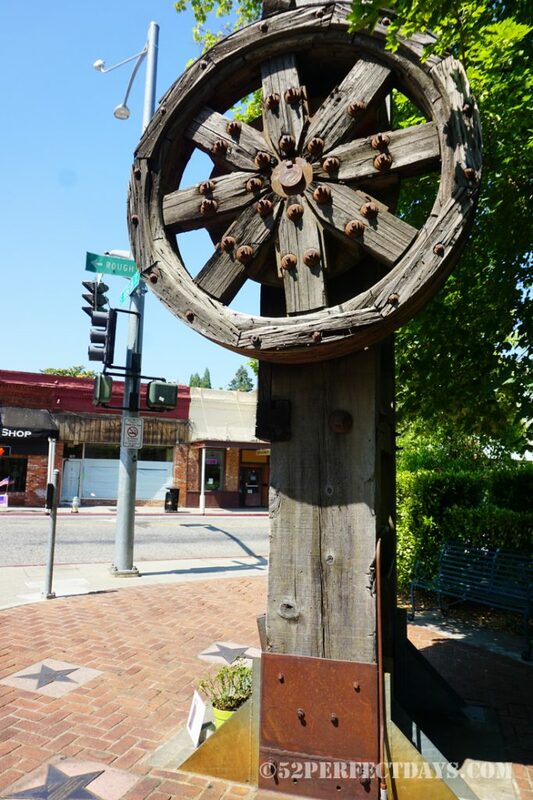 Grass Valley is both old-fashioned and quirky, which makes it truly worth a visit. The historic downtown area offers a great selection of stores that are mostly independently owned. The town also has a historic landmark hotel and some tasty restaurants. 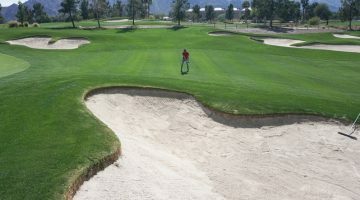 There is an abundance of outdoor activities nearby as well. 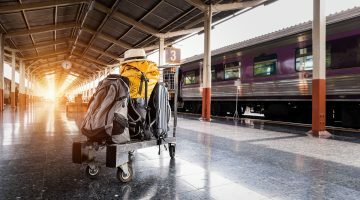 Whether you’re staying a few days or a few weeks, one thing’s for sure, you won’t find a dull moment in Grass Valley. 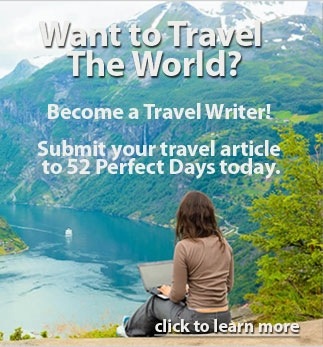 It may be off the beaten path, but there’s plenty of fun to be had. The pedestrian-friendly downtown area of Grass Valley offers abundant entertainment options for a small town. Throughout the year there are events such as film festivals, car shows, night markets, Cornish Christmas events, and all sorts of celebrations. 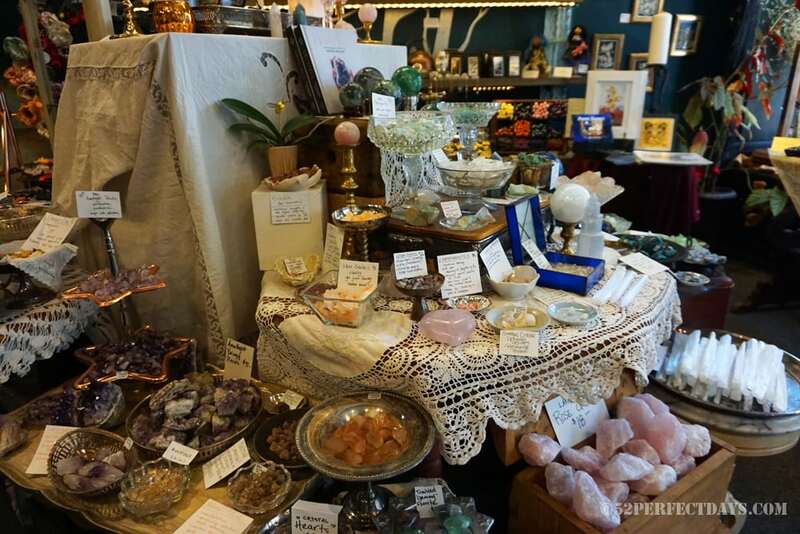 Downtown Grass Valley is scattered with a variety of restaurants and boutique shops that sell everything from vinyl records to eclectic crystals and healing products. 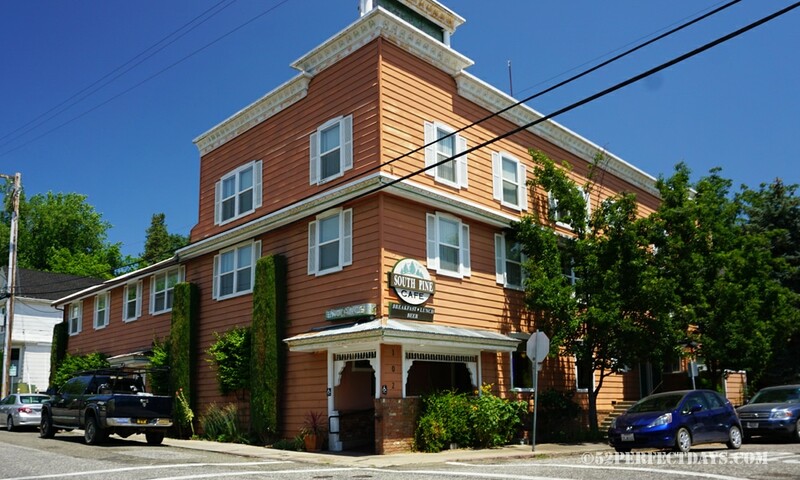 There are historic landmarks throughout the town that date back to the Gold Rush days. You’ll find gold rush artifacts, mining supplies, and equipment that was used to crush tons of gold in its heyday. As you wander through town, you’ll find these interesting artifacts in the downtown area as well as on residential streets. Downtown consists of two main streets and a variety of shops. You can easily spend a few hours wandering in and out of the stores. 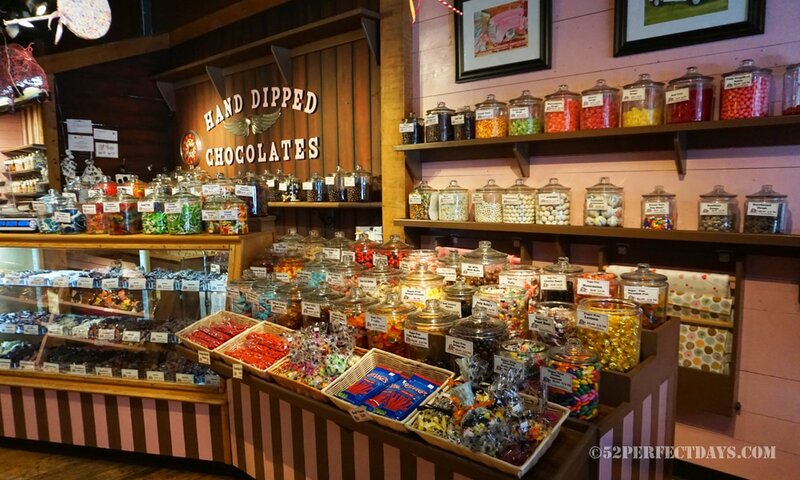 You’ll find shops filled with candy, clothing, home decor, art, and many with healing and spiritual items. Make Local Habit is a downtown Grass Valley store for all things local artisan. They have a large variety of products from natural body care and women’s accessories to home and garden décor. Also located downtown is the Bamboo Home Store, and as you may guess, they sell products made from bamboo, which are good for the body and the environment. The Grass Valley Antique Emporium has an extensive range of all sorts of exciting items including a coffee grinder dating back to the 1880s, It is an iconic feature of the store which also houses Victorian lamps, silverware, furniture eyeglasses, and vintage postcards along with a multitude of other items. South Pine Cafe is known for their breakfast, lunch, and brunch. They have a wide variety of dishes including vegan and gluten-free options. It’s good, wholesome, made-from-scratch grub. Favorites include lobster Benedict, the portobello scramble, potato pancakes and have the best home fries in town. They make freshly baked muffins daily and have a variety of freshly squeezed juices. 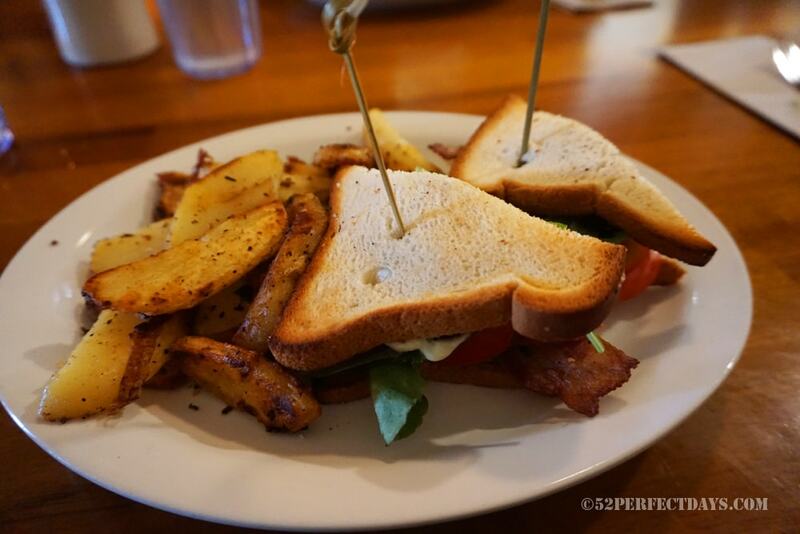 They even offer Gluten-free bread as well as a variety of other gluten-free and vegan options. For wine lovers, the Lucchesi Vineyards tasting room is a must. A block from Main Street, you can visit the Lucchesi tasting room, where you can try some of Californias best wines and browse the selection of unique gifts all with top-notch customer service. If you are up for an excursion, visit the vineyard, which sits upon a hillside overlooking Nevada County with beautiful views of the Sierra Nevada mountains. At the vineyard, you can see the winemaking process from the growing of the grapes to the production of the wine. If beer is more your taste, then stop at the Thirsty Barrel Taphouse and Grille. There are thirty taps of craft beer to suit all tastes and knowledgeable staff to help you find your favorites. They also have a selection of wines available as well as a sizeable hearty menu of food. 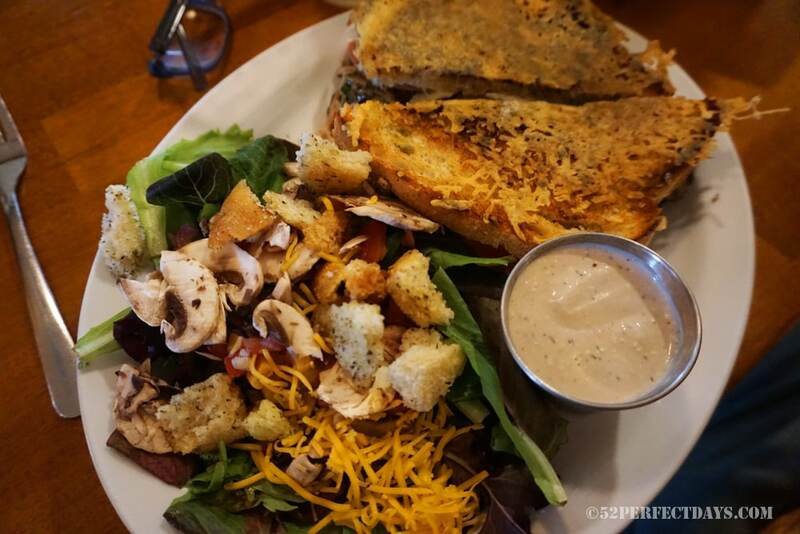 When asking around for somewhere to eat in downtown Grass Valley, you’ll often be pointed to Cirino’s. Located on Main Street, Cirino’s Bar & Grill is an Italian restaurant that has garnered a strong reputation within the community. The vast menu includes the traditional Italian delights with the addition of smoky grilled meats, burgers, and sandwiches. 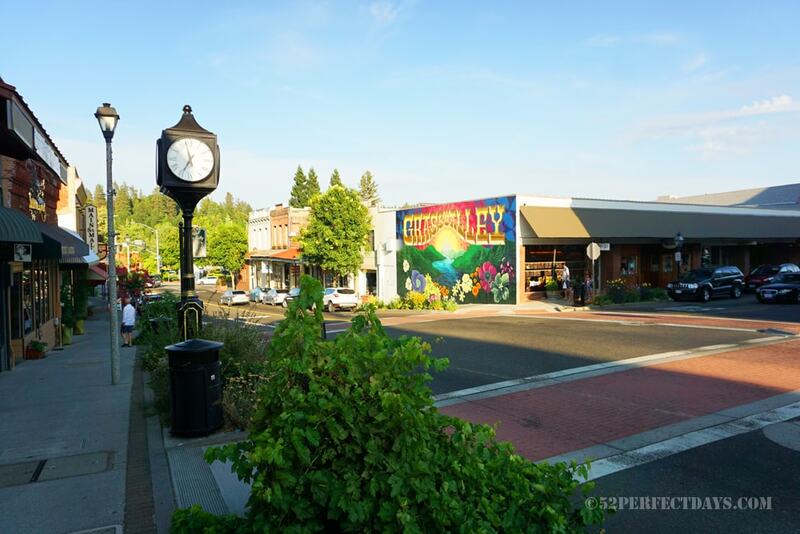 Fitting in nicely with Grass Valley’s boutique shopping scene are the vibrant art galleries. The galleries showcase the local talents with an assortment of sculptures, paintings, and photography. Situated in a 19th-century building is Grass Valley’s Art Works Gallery represents work from 37 different artists. You’ll find jewelry, furniture, mosaics, photography, glasswork, ceramics, and metal art. The Artist Workshop in Grass Valley offers both a retail section and a craft section. 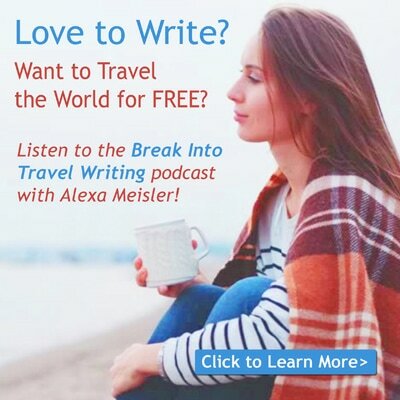 Here you can browse the unique gifts that are unique and one-of-a-kind. You can also participate in a craft class making mosaics, candles, soaps, and pottery. On Main Street is The Center for the Arts which hosts more than 150 performances a year. The center is involved with all things art and has two art galleries, a 90 seat black box theatre, and a 300 seat main theatre. Whether your interests lie with dance, comedy, theatre, visual art, or film, there is bound to be something of interest happening at The Center for the Arts. The Grass Valley Museum is tucked away on the 2nd floor of St. Joseph’s Cultural Center and is one of Grass Valley California’s hidden gems. A guided tour will highlight vintage wedding dresses and the story behind the areas convent orphanage. It is filled with history and memorabilia of the small town that produced two of the richest gold mines in the Golden State. 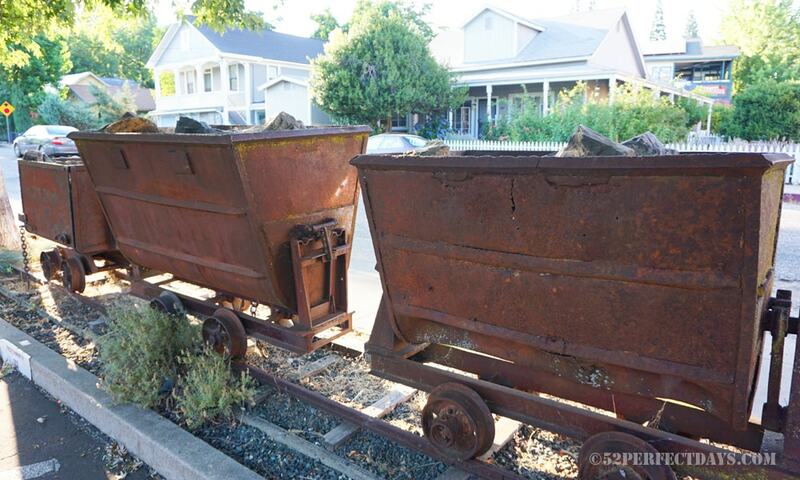 For those interested in the Grass Valley’s mining history there is no better way to paint the picture than a visit to the North Star Powerhouse Mining Museum. Much of the equipment collected from the bygone era still works, and there are three rooms filled with artifacts. 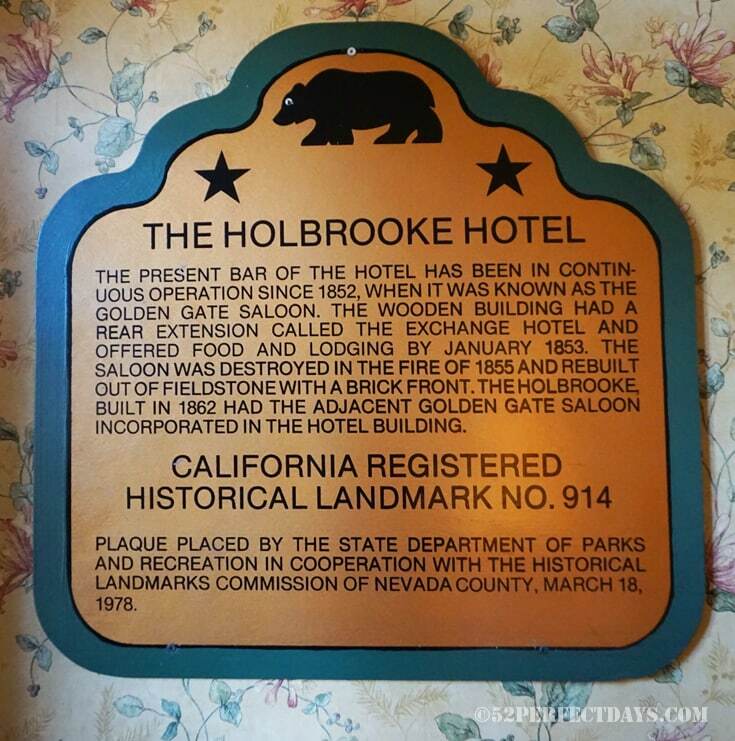 The Holbrooke Hotel was founded in 1851 and is California’s oldest hotel in continuous operation. The historic landmark hotel has seen high profile guests over the years including Mark Twain and U.S. presidents Grant, Harrison, and Cleveland. The Holbrooke Hotel bar is infamous in its own right. Today it is a local hangout where people gather to sip house cocktails and listen to live music. 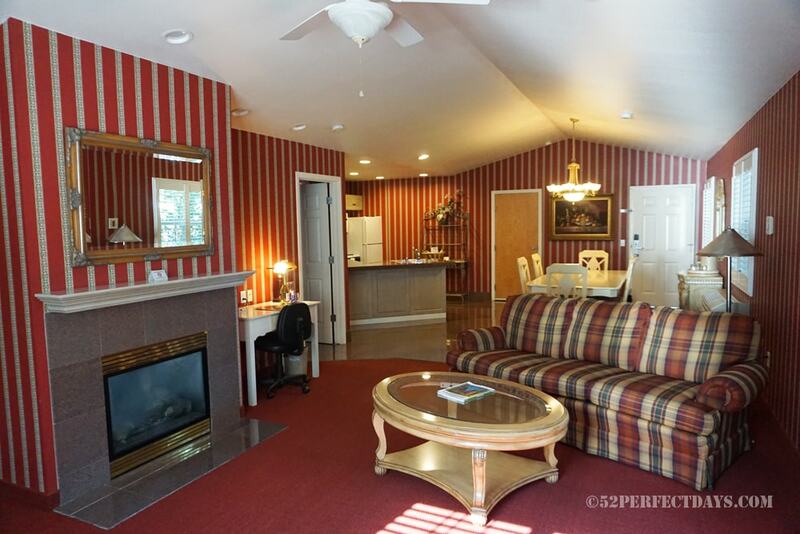 There are 28 guest rooms in the hotel as with a few public areas with open fires. 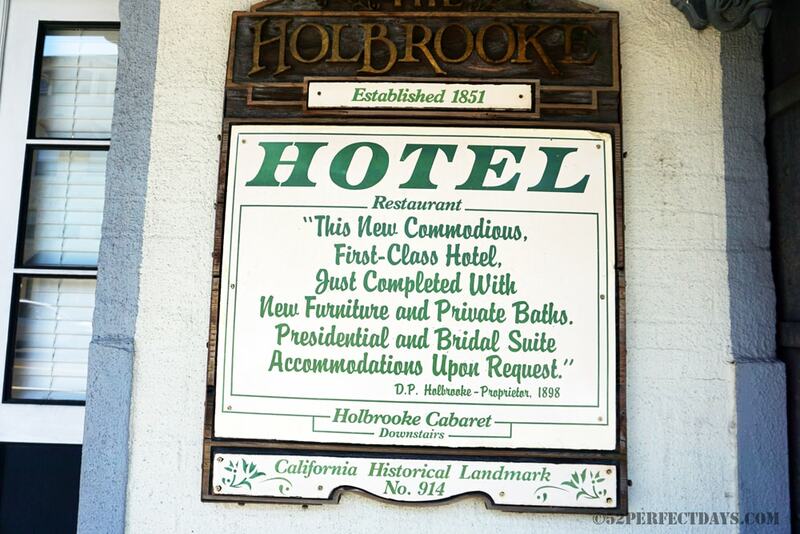 The Holbrooke Hotel has been welcoming guests since 1851, and its bar has been in operation since 1852. If only walls could talk! 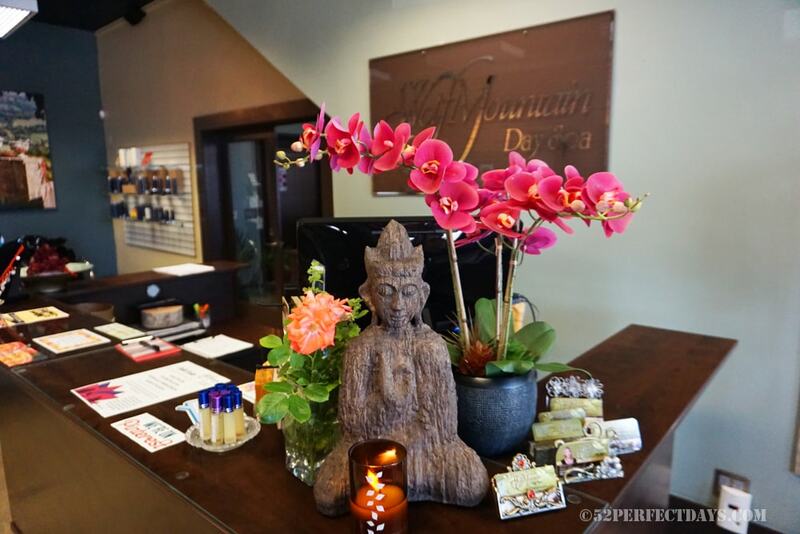 If you’d like a relaxing break from your time exploring Grass Valley, visit Wolf Mountain Day Spa. The spa has glowing reviews for their treatments which include facials, massages, manicures, and pedicures. They are known for pampering their customers into a state of bliss! This is the spa to visit for anyone who wants a relaxing, calming experience. The best way to imagine what Grass Valley was like back in the day is to visit the Empire Mine State Park. This was one of the most prominent gold mines in California that yielded more than 5.6 million ounces of gold before the mid-1950s when operations ceased. A trip to the Empire Mine State Park allows you to watch live presentations in the living history museum, tour original buildings, and take a look at the authentic mining equipment. The onsite picnic areas are pet-friendly, and surrounding areas include biking and hiking trails. Malakoff Diggins State Historic Park is within close proximity to the Empire Mine State Park and also offers living history educational opportunities. As well as displaying the economic benefit of the gold rush it highlights the lesser-known environmental devastation also caused by the mining. A blissful day out with views that please the eyes and the soul is found at South Yuba River State Park at Bridgeport. There is definitely something for everyone here whether you want a day relaxing by the river or an adventurous day panning for gold. You can also explore the hidden swimming hole or go on a hike amongst the wildflowers. Summer can be pretty busy for South Yuba River State Park so if you want to avoid the heavy crowds visit during weekdays or early evenings. 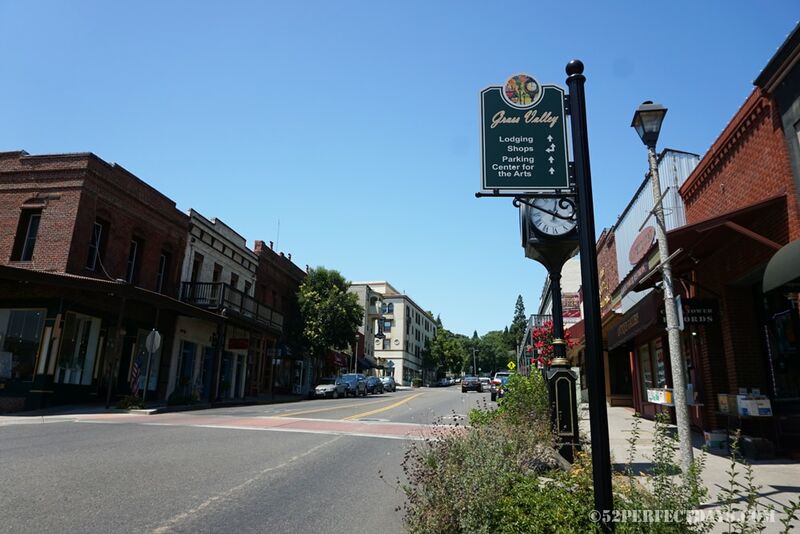 While in Grass Valley carve out some time to visit nearby Nevada City. 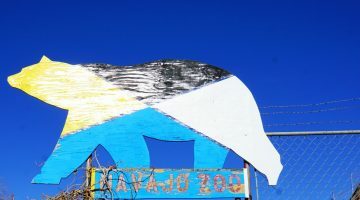 Nevada City is a hippy town where you will find a lot of healers and spiritually minded people here. Heading into Nevada City you will unearth more unique shopping experiences with The Gray Goose offering over the top novelties and Yabobo & Asylum Down which has a colorful array of traditional African textiles and musical instruments. For a bite to eat or a cheeky dessert the place to go is Calla Lily Crepes. If you head there for dinner, and enjoy a historical setting, try The Stone House. Lefty’s is another highly rated restaurant in the area that offers a Creekside dining experience. 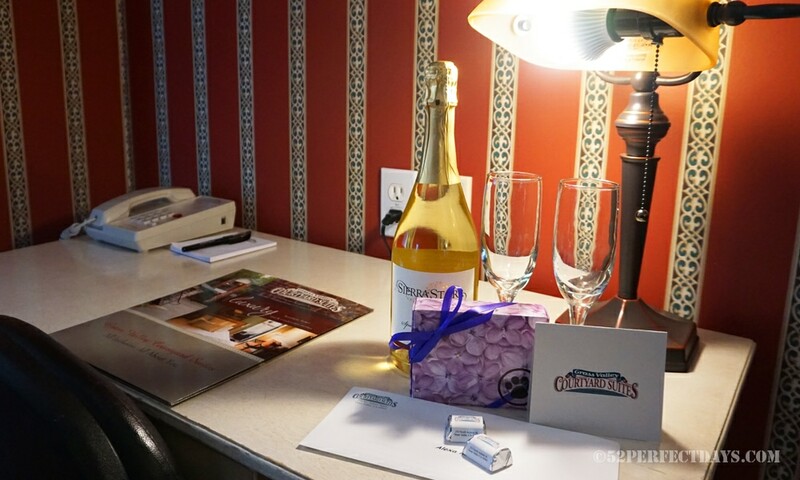 Having a hotel that goes the extra mile can really make a vacation more enjoyable which is most definitely the case with Grass Valley Courtyard Suites. 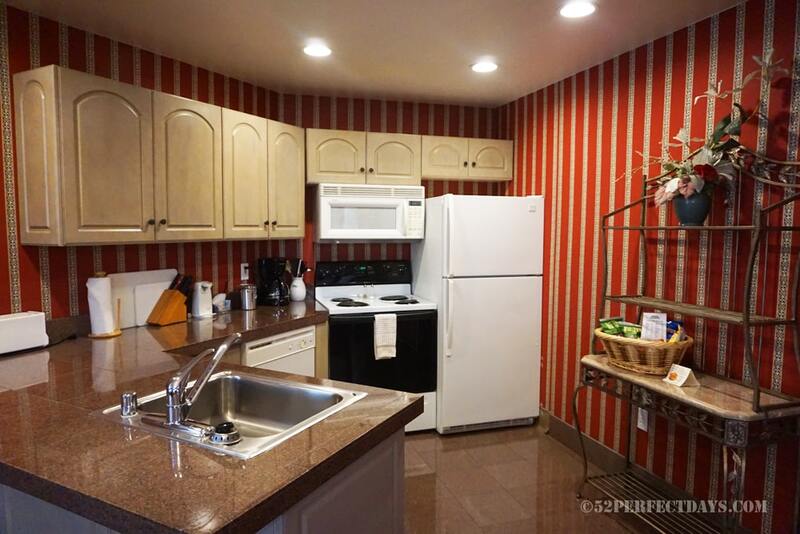 Grass Valley Courtyard Suites offer a luxury boutique experience. The spacious bedrooms, feature Tempur-Pedic beds for a truly sound sleep, are more like stylish apartments than a hotel room. No two rooms are the same, and most include a fully equipped kitchen, dining area, living room, bedroom, bathroom, and balcony. Each room has a variety of snacks and drinks available for a small fee which is especially convenient after a long journey. 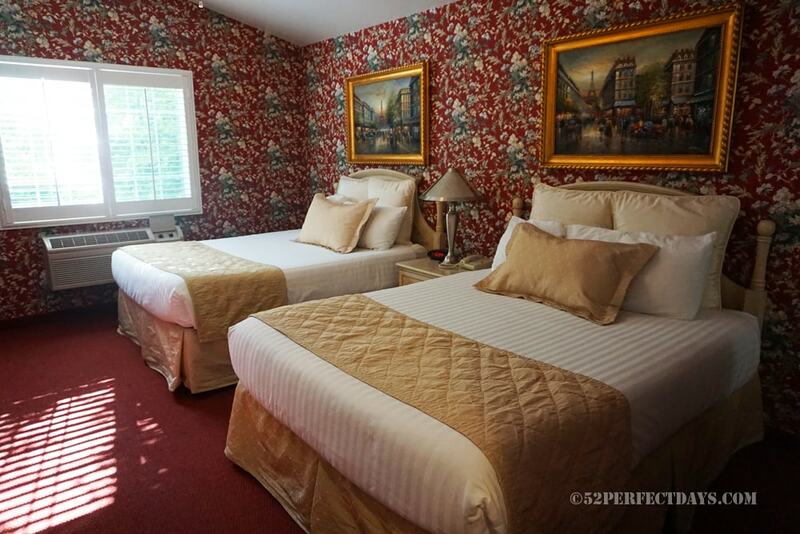 Wake up to a glorious Grass Valley Courtyard Suites “Gold Country” breakfast. 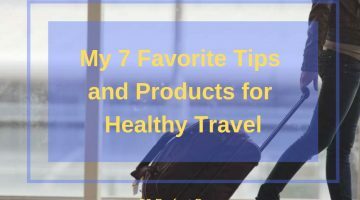 You’ll have the choice of made to order omelets and waffles along with a selection of meats and cheeses, juices, tea and coffee, cereals, fruits, and hard-boiled eggs. There is no complaint about a complimentary breakfast that is of this standard and goes far beyond expectations. 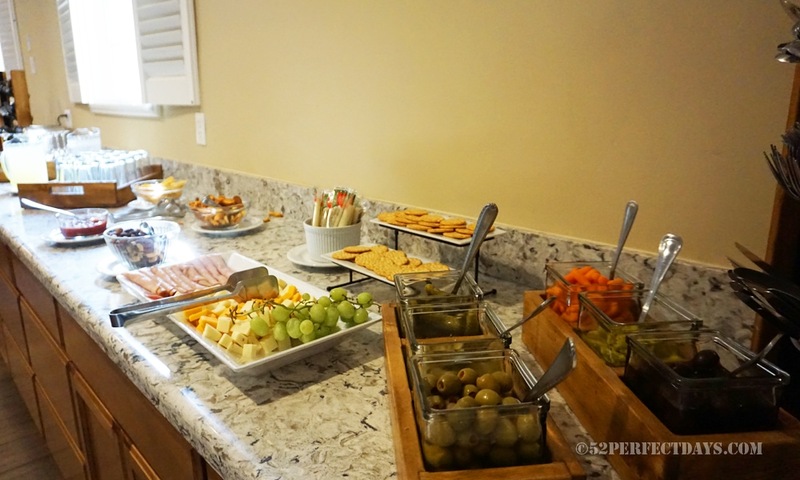 Every afternoon the hotel has a wine and cheese happy hour with a great spread of meats, crackers, fruits, cakes, cheese, flavored water, and wine to satisfy the hunger until the evening. There is also a lounge and full bar if you want to pop in for a nightcap. 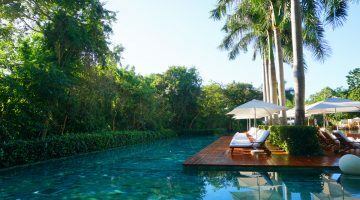 Along with an exceptional fitness center, the hotel also has a swimming pool with a full poolside service and day spa. For an afternoon of relaxation, treat yourself to the “pamper yourself package” for just $148 which includes a one-hour Swedish massage, a one-hour facial, a full fruit plate, and a bottle of champagne. All that’s missing is being fanned by a palm leaf. 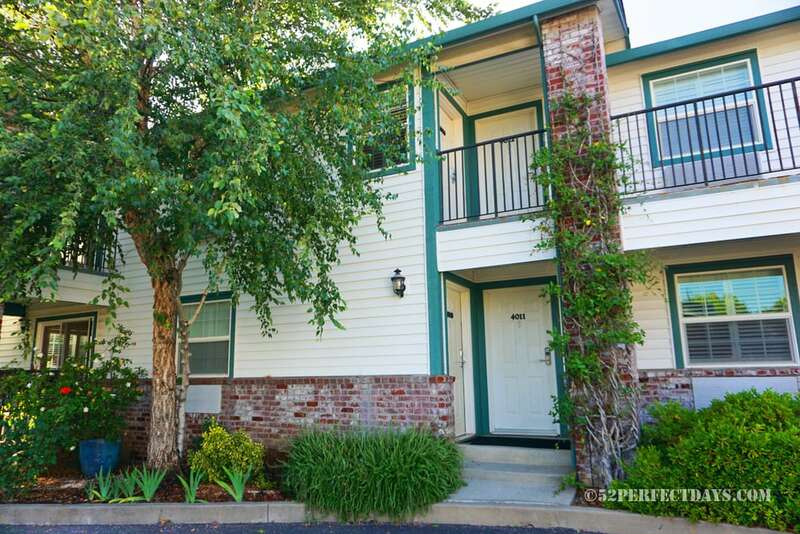 Grass Valley is about 1 hour from Sacramento and 2.5 hours from San Francisco. 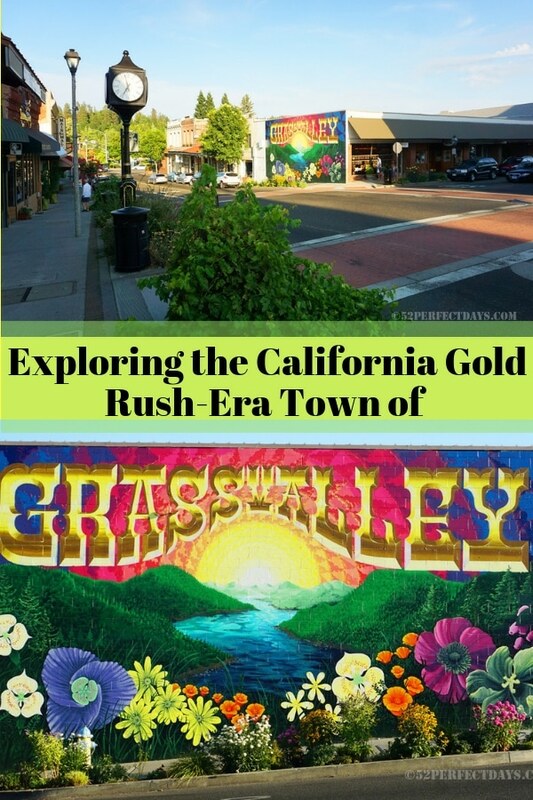 You can fly into both of these locations, rent a car and make your way to the gold rush era town of Grass Valley, California. A huge thank you to the Grass Valley Courtyard Suites for their generous hospitality. 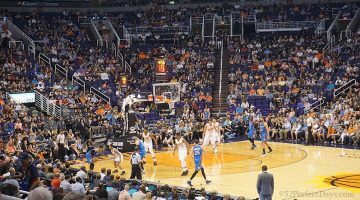 I enjoyed this visit as a professional blogger, but as always, all opinions are my own.